Every set of Lego instructions you could ever need. Via Melanie. The recipient of the Mother Letter Project shares her reaction. Priceless. Click on that and tell me if it isn't the best living room you've ever seen. I attempted to login at the LadyBlog Awards to nominate this fine corner of the web in the parenting category, but apparently you must live in the grand United States of America to register. Would any kind American care to nominate Shannon and Rocks in the Parenting/Mommy category??!!! This Canuck sure would appreciate it! Well, I clicked, and you’re right, very pretty living room. Of course, my first thought was, where’s the TV, and now I understand more about why I’m so design-challenged. I clicked too, fantastic! Love a house with rich and bold colours. We had so much color in our Colorado Springs house. I. Loved. It. However, when it came time to sell it, nobody else did (sniff, sniff). We’re about to enter the stage of painting again (our current home is just dying to be relieved of its 1984 imprisonment) and I’m stuck. Whereas before I could name a color in a second and love it, I’m now worried I might get it wrong. there must be something wrong with me! the living room isn’t doing it for me…something about it looks cheap and not put together. i think it’s the patterned curtains..with the regal red background? Everyone has their own style, I guess. 🙂 I’ll have to agree that the living room isn’t quite doing it for me. But that is probably because I prefer a simple, clean look with solid colors or patterns that aren’t quite so bold. Still, it is fun to see what draws other people’s eyes. I’ve been drooling over that living room AND kitchen since my SL arrived in the mail. Wish I could be so bold! Those are my colors but somehow (cough, cough) my house doesn’t look like that. I don’t like the living room either. 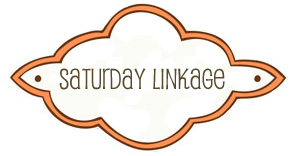 But I highly enjoy Saturday Linkage. Thanks for taking the time to do it! I did like the living room but don’t know if I’m bold enough to use so much color. I was so impressed by the Lego site. I admire people who take the time to post helpful things like that (and believe me, Lego instructions are a necessity around this house. )Thanks for sharing! Oh those curtains…..I would love those in my living room! Shannon, I humbly apologize… and hear the intent and kindness of your generous heart. Just know how you are appreciated — I’m very grateful for all you do in this place. The living room, yes, but that KITCHEN!! Wow…I’m going to have to agree with the kitchen luv going on. just stopping by from OK Blogs….VERY cute blog. Love it!! That living room just became my New Year’s Resolution. LOL…our living room is that EXACT shade of pale yellow and I LOVE IT! Excellent living room. Warm and inviting. A true inspiration. Thanks for sharing it. Thank you for finding and posting the link to the LEGO instructions…I have some happy children in my house tonight! Wait a silly second… how did THEY get pictures of MY HOUSE in their magazine without MY permission?